Whether you use a bread machine or not, it is good to be equipped with the best bread making tools to help you along with the job. We live in a world of hi tech kitchens, and therefore are able to get excellent tools and appliances that years ago would’ve seemed outlandish. If you’re a master chef they can help to make your life a lot easier, and if you’re a beginner baker then they will turn you into a pro in no time. We have listed some of the best bread making tools here for all eventualities in the baking process. Baking requires quite a lot of precision, and using a Jamie Oliver style method of just bunging everything in probably wont yield the best results. Recipes will usually be really quite detailed, and ratios are key for a high quality loaf, and when you start increasing or decreasing sizes for either your bread machine or just to suit your needs, you’ll be glad to have electronic scales as your sidekick. Sometimes called a pizza stone, this is designed to turn your standard home oven into a hearth style oven, perfect for baking all sorts of different things, such as pizza of course, but it is exceptionally good for bread too and if you’re not using a machine, or are just using a machine to make your dough, you can use a stone for making a mean ciabatta, pita breads or just about any other loaf. These are designed to be able to chop without damaging your counters, and though they’re hardly going to cut through tough meat they are absolutely awesome for cutting up dough or even other ingredients you may wish to include in your bread. I wouldn’t call this an essential tool, but a very useful one there’s no denying. Designed to help with the making of artisan breads, the danish dough whisk turns kneading and mixing a completely different ball game, very helpful for the budding baker. This is the most important of all bread making tools, and one you might well overlook, without a good cookbook you’re going to struggle with recipes and definitely struggle with finding variations and different types of breads to try out with your family and guests, a lot of the tools mentioned are designed for making your life easier, but a cookbook is utterly exceptional for the beginner breadmaker. 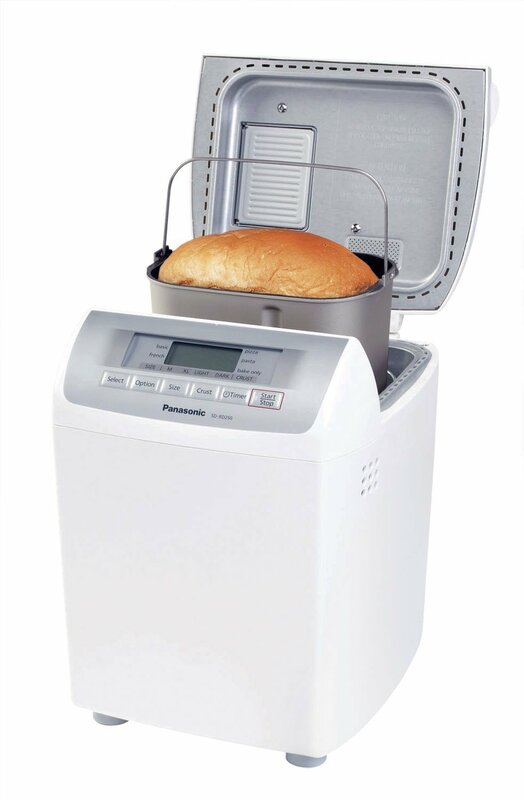 We love bread machines for so many reasons. 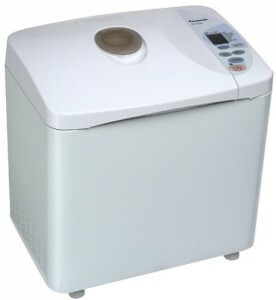 Regular visitors to the site will know that we are huge advocates of using bread machines to take the tedious aspects out of baking, save you money and improve the quality of bread eaten in your home, nothing beats a fresh loaf! I have compiled some bread machine tips to help you to get the most possible out of your model or even choose the best bread machine (you also have our reviews to help with that). When we go to a shop to buy a loaf of bread, we think about the size. You may have a huge family and need to go and buy huge loaves that only last a day or two, alternatively you might get a small loaf and still find yourself with extra. Fortunately there are varying sizes of bread machine and some even allow you to alter the size based on what you need. The important thing you need to remember is that you will need to add different amounts of ingredients depending on how big a loaf you need, something that your manual will usually tell you. Getting the yeast right in a bread machine mix is something of an art form. 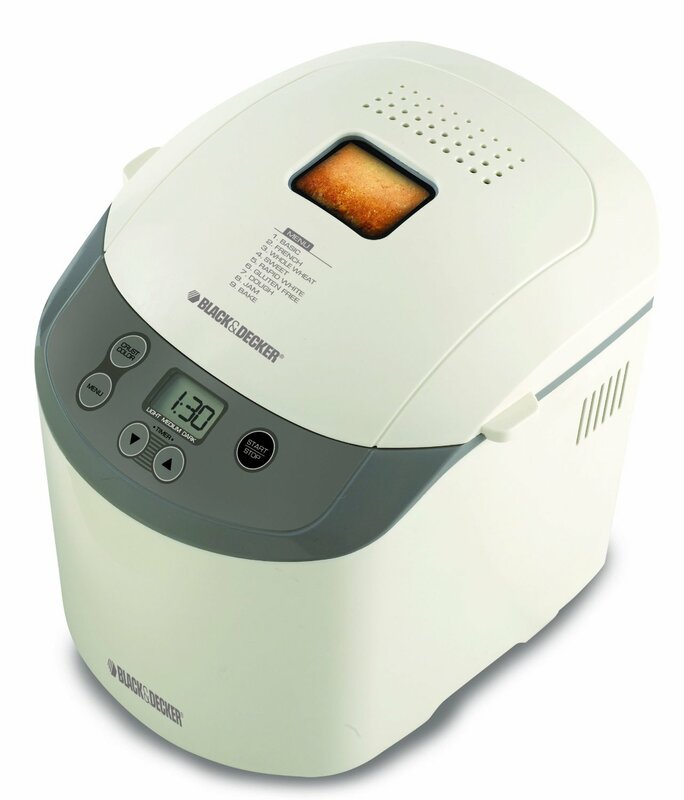 There is specialist bread machine yeast that you should buy, which is designed to activate quicker and suit your machine’s cycle. This is sometimes simply called ‘bread maker/machine yeast’ or may also be known as rapid rise, quick rise or fast rise; you can pick it up in a lot of supermarkets. 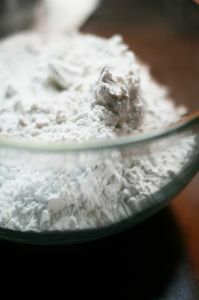 For the perfect loaf you want about 1/2 a teaspoon per cup of flour used in your mix. This is where you might want to step in a little and not just leave your bread maker to it. Before your ingredients go in, they should be at room temperature. Generally your bread machine will know to preheat to around 400 degrees, and when the bread hits the 200-220 mark it should be done. A rough estimate for every pound of bread is roughly 22-28 minutes of baking time. It is important to load ingredients in the right way and the correct order, this could mean the yeast last and liquids first followed by all other ingredients, or you might add the yeast first, other ingredients and then the liquids. Follow your bread maker instructions with caution. I’ve already written a big piece on the site about the upkeep of your machine and how to clean a bread maker. It is important to clean regularly and preferably try to do so after each use, which will make sure there is no build up of crumbs or other nasty accumulations in your model of bread machine. It is all very well having the best kitchen accessories and appliances, and a bread machine is an amazing utensil that you’ll want to use all the time, so inevitably from time to time it will need a good old clean. Every machine is of course slightly different and will get dirty in different ways, but generally there are a few simple rules you can follow to keep yours spick and span, all you need is some hot soapy water, towels and some elbow grease! The bread pan part of your machine will probably be the easiest. In most machines they are designed so that you can simply remove it and either put in your dishwasher (this is definitely my preferred method!) or you can wash in the normal way, in your sink with hot soapy water. Be sure to clean both inside and out to make sure any spillages are dealt with. This is where things can start to get a little bit tough, inevitably crumbs might well get in to the mechanism and other parts of your machine and aren’t as easy to remove as the pan, so I have a couple of top tips for you. You can use a paint brush. The bristles will get all the crumbs out of the tough spots easily and you can put them into a pile and sweep out of the machine. As most of these areas will not come into contact with the bread it doesn’t matter what you use really but I’d suggest buying a new paint brush to stay safe. You can use a hoover. I’ve never done this myself, and do so at your own risk, but I can see how the detachable nozzle of a hoover would make this process so much easier! A tough area to deal with, the inner workings of your machine can see everything from crumbs to spillages, and they can be really tough to remove if they have overflowed during cooking and therefore cooked onto your maker. I would suggest that anything that won’t come off with a firm rub of a paper towel could be handled with a rough ‘brillo’ style pad. Failing that a wet cloth may get rid of tough and stubborn, burnt on dough. I have found that they key to cleaning bread machines effectively is to make sure you do so often, preferably after every use, though you don’t have to do a ‘deep clean’ by using the techniques mentioned above, which I would suggest around every 10-15 uses. Making bread in a bread machine has not always been an option and in the world of cooking these machines are a relatively new invention, but thank goodness we have them in our kitchens providing us with the best loaves available. I don’t know where I’d be without my bread maker, but how do we make bread in a bread machine, and what are the pros of doing so, and of course the cons of doing so? This is almost so simple it doesn’t warrant a whole article about, the process of making bread in a machine can be boiled down to a very simple process. 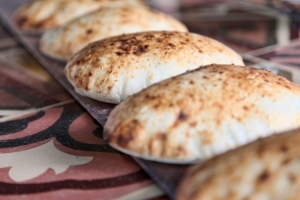 Plan your recipe, this can be done with the way you ordinarily make bread without a machine or by using a leaflet that will come with most of the best bread machines from the manufacturer. Place the ingredients in the pan according to instructions. Push the necessary buttons to select the mode and other options such as crust, style of bread and whatever else your particular model offers. Watch your beautiful bread be baked! Or, in fact as the case may be, don’t watch at all and go and do your own thing while the machine does the hard work (that’s what they’re there for). Baking to a beautiful finish! The Pros and Cons of using a bread machine is really an age old debate. 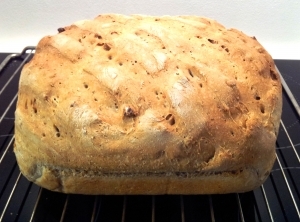 The most obvious of pros is of course the ease of baking fresh loaves of bread, variation is another plus point with many recipes being very easy to implement. Timer settings mean we can prepare bread in advance on a timer setting. What’s not to like? Well, some say a little bit of the control in the kneading process is taken away and that some bread machines can become a bit samey with time, but this in my opinion can be pretty simply tackled with new recipes. 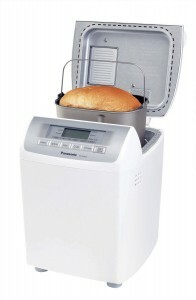 Personally, as you may expect from somebody who runs a website about them, I’m all for Bread Machines!